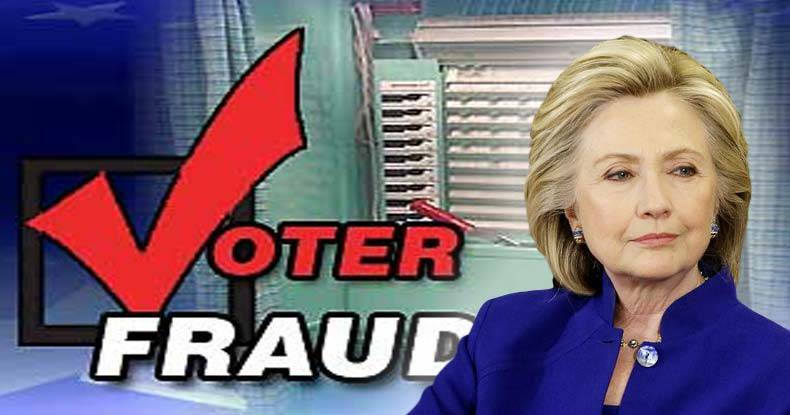 Phoenix, AZ – The fix is apparently in for the 2016 Democratic presidential primaries, after massive voter suppression was reported in the Arizona Democratic primary. Maricopa County Recorder Helen Purcell, who was responsible for the reduction in polling places in 2016, attempted to justify her actions by claiming that voter turnout was traditionally low, so she simply reduced the number of polling locations to save money. Indicative of something more nefarious afoot, Pima County, home to Tucson, had almost double the number of polling locations open compared to Maricopa County, even though Pima County is only approximately one-third the size. On top of having far too few polling locations open in general, the lack of stations in densely populated Latino neighborhoods indicate something far more organized, given that almost 41 percent of Phoenix residents are Latino. “It is no coincidence many poor and predominantly Latino areas didn’t get a polling place,” AZCentral.com editorial columnist Elvia Diaz wrote Tuesday night. These types of anomalies are seemingly par for the course though when it comes to establishment political elites like Hillary Clinton, which begs the question; are elections being rigged? A statistical analysis of the 2008 to 2012 vote results revealed that widespread electronic vote rigging taking place, exposing that over 1 million votes were switched from other GOP candidates, to Mitt Romney, during the 2012 GOP presidential primary. “This substantial effect exceeds reasonable statistical bounds and we calculate that the probability of such election results happening by chance is beyond typical or even extreme,” Francois Choquette, co-author of the analysis said. Think back to 2008, Clinton was facing upstart candidate Barack Obama, who had just won Iowa and had a commanding lead going into New Hampshire in both pre-election polls, as well as exit polling on election night. But the final results were dramatically different from the polls, in which every one had Obama winning with an average lead of 8.3 percent, yet Clinton ended up winning by 2.6 percent, somehow unaccountably gaining 10 percentage points over night. Adding to the suspicion, various pre-election polls had been fairly precise in their predictions for all other candidates in the same race, but had mysteriously miscalled the numbers for Clinton and Obama. Interestingly, the hand-counted paper ballot results favored Obama, while Clinton won in the districts where electronic voting machines secretly counted ballots. Hillary Clinton’s upset win was imagined by some as a fix perpetrated by rogue elements among her more conservative New Hampshire Democratic backers. Others pointed the finger at Republican operatives who they believe may have orchestrated her victory, judging Obama the stronger horse against Romney (or any other GOP candidate). Diebold CEO Walden O’Dell, who had publicly pledged to deliver Ohio to Bush in 2004, was later mired in widespread accusations of a conspiracy to rig out Kerry late on election night in Ohio. Top cyber-security experts charged that Karl Rove’s online vote-gathering apparatus used a “man in the middle” hack to alter the results, in collusion with the ultra partisan Ohio secretary of state, Kenneth Blackwell, the co-chair of the Committee to Re-Elect George W. Bush. The man who built the vote-tabulating system, GOP tech guru Michael Connell, died in a suspicious private plane crash after being subpoenaed and then compelled to testify against Rove. Two election officials were eventually convicted of rigging the Ohio recount. Programming the counting for the 2008 New Hampshire primary was a little known company called LHS Associates, which used the same infamous GEMS software long proven to be easily manipulated by insiders to alter the outcome of the election and produce a matching, fraudulent poll tape report. With such entrenched political elites working to game the system, is there actually any hope that our elections are representative? Even after being made aware of the vulnerabilities of the voting machines, by computer expert Harri Hursti, prior to the 2008 NH primary, the New Hampshire State House Subcommittee on Election Equipment chose to continue to use the easily tampered with software. Over the course of this election cycle, one thing has become apparent; the political elite and the party bosses are the ones that select the President of the United States, citizen voting is simply a formality to provide legitimacy to the ruling elite.